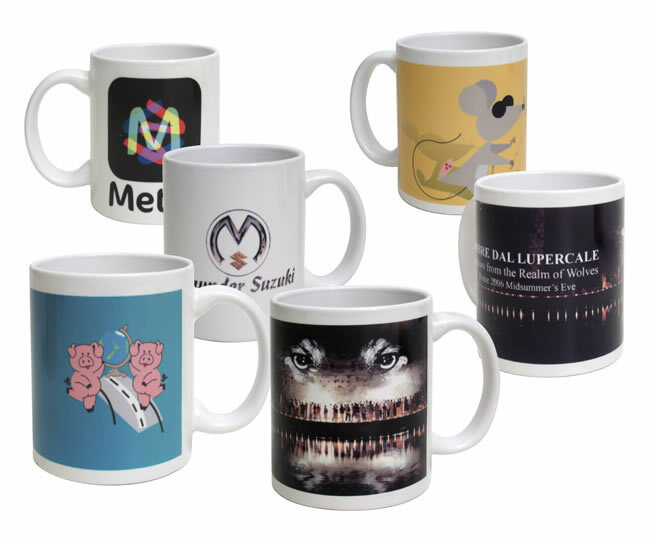 Digital Printing on mugs allows for a complete spectrum of colours for logos, images or photographs to be printed and gives a result that cannot be achieved with screen printing. Most artwork file types are useable Artwork is a jpeg format at minimum 300dpi for best results. This process is only available on white D Handle mugs suitable for all ceramic glazed surfaces and is an ideal solution for small quantities. Historically we have used the now common sublimation process however with the new kiln fired system the finished products are not prone to failure in a dishwasher or sunlight (UV).